The defeat at Bushy Run was the beginning of the end for Pontiac's Rebellion. Included are events that took place before Pontiac's Rebellion and might be of interest in this context. 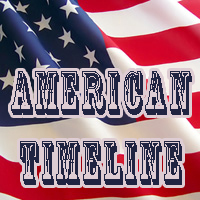 If this timeline is too detailed, check the Key Events of the Pontiac Rebellion, which are a summary of the years 1763-1766. 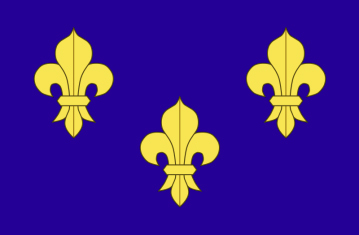 The French colony New France (Nouvelle-France, or Gallia Nova) is established. Jacques Cartier winters in the Huron Indian village of Stadacona (today's Quebec). Quebec is restored to France by the Treaty of Saint-Germain-en-Laye. The fur-trading post Detroit, aka Fort Pontchartrain du Detroit, is established by Antoine Laumet de La Mothe Cadillac on the peninsula between the Detroit River and Savoyard Creek. The British will rename it later simply Fort Detroit. Albany Congress - The British negotiate with the Iroquois. Sir William Johnson tries to assure British support against the French. Johnson is appointed superintendent of the Iroquois Confederacy and its allies. 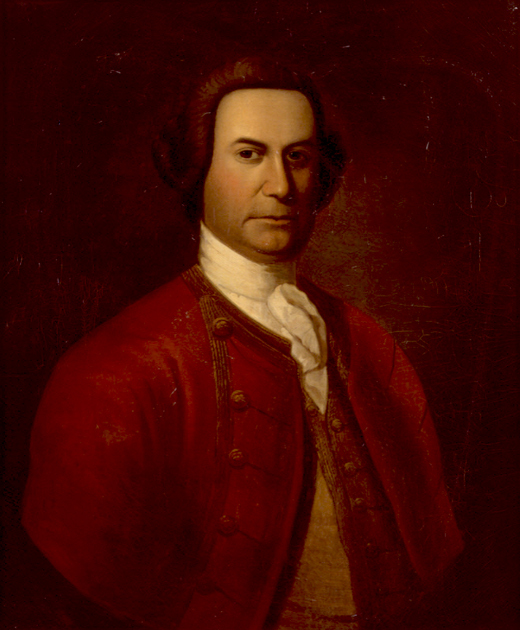 George Croghan (died in 1782) is appointed deputy to Sir William Johnson, the newly created superintendent of Indian affairs for the western nations. William Pitt the elder selected Jeffrey Amherst over the heads of numerous senior officers to fight the French. Amherst arrives in America. He will soon become the commander-in-chief of His Majesty's Forces in North America. General James Wolfe arrives from Spithead at Halifax. Battle of Quebec, which takes place on the Plains of Abraham, located adjacent to the city. British Maj. Gen. Wolfe defeats French Marquis de Montcalm, who is mortally wounded. French Quebec surrenders to the British. This will lead to the fall of Canada to Britain. Henry Gladwin is detached to assist Colonel Henry Bouquet in building Fort Presque Isle (today's Erie, Pennsylvania). 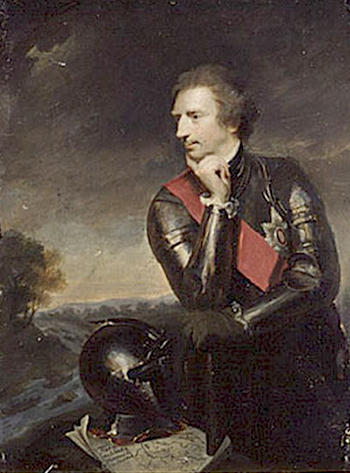 At Montreal, the last governor-general of New France, the Marquis de Vaudreuil, surrenders his territory to Jeffrey Amherst. This transfer will become official with the 1763 Treaty of Paris. 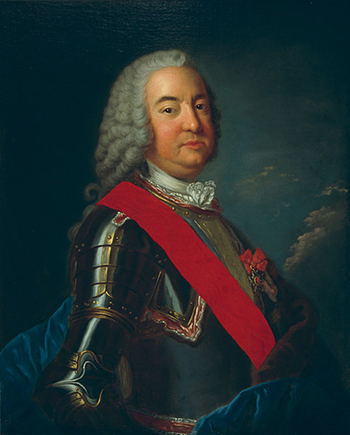 Henry Gladwin is in command of Fort William Augustus (formerly Fort Lévis, east of Prescott, Ontario). French Captain Francois Marie Picot de Belestre surrenders Fort Pontchartrain de Detroit to British Major Robert Rogers and his 200 rangers, who take over at Detroit and other western posts that the French cede to the British. On his way to Michilimackinac, Rogers meets Pontiac and a group of Ottawa, Huron, and Potawatomi Indians, who welcome the newcomers with a sincerely peaceful attitude, expecting the establishment of new commercial relations and to be treated respectfully. Rogers departs and Captain Donald Campbell becomes the British commander of Fort Detroit. Campbell is a man who will be described as fat and unwieldy and suffering from poor eyesight. However, he speaks French, is relaxed, alert, competent, and most importantly able to win the trust of Pontiac, who was previously fighting for the French against the British. Campbell reports that the new British treatment of the natives does not go down well at all. Apparently, the Indians incited "all the Nations from Nova Scotia to the Illinois to take the hatchet against the English." Gladwin comes to Detroit, joining Johnson with a strong contingent of troops. Johnson calls a great peace conference with the natives at Detroit. 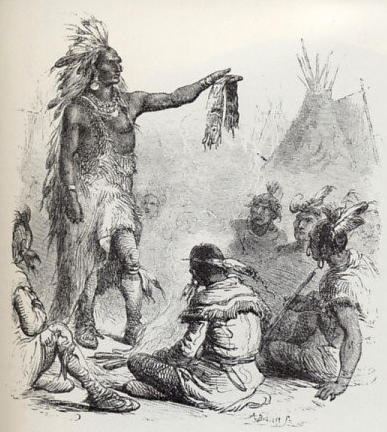 At the meeting, Johnson, with a letter from Amherst in his pocket forbidding him to continue to buy the Indians' good conduct with presents, offers the Indians presents. As to purchasing the good behavior, either of Indians, or any others, that is what I do not understand. When men of whatsoever race behave ill they must be punished but not bribed. Although Johnson didn't say a word about Amherst's planned change of tradition, the Indians will soon find out when his orders are implemented. 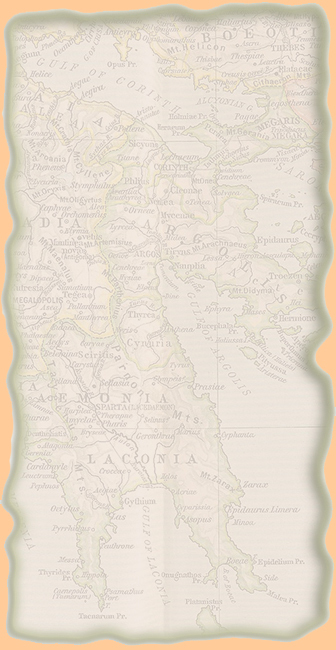 Arriving in America about 1738, Irish-born Johnson settled in the Mohawk Valley. A skilled trader and negotiator, he was appointed Northern Indian Superintendent in 1756. Johnson was a shrewd land speculator, owner of a fortune and a home which he humbly called Fort Johnson. In 1763, he built Johnson Hall, his mansion Georgian style, north of Johnstown, NY. Among other children, Johnson fathered eight little rascals with Molly Brant, the sister of Mohawk chief Joseph Brant. Unlike commander in chief Jeffrey Amherst, Johnson distributed gifts generously, and he was not above donning war paint. Consequently, Johnson created a loyal Iroquois following. He is credited with convincing the Iroquois to stay away from Pontiac's Rebellion. Johnson is described as "hard-headed and frequently self-serving, particularly regarding land claims." This portrait is Edward L. Mooney's oil on canvas from 1838, after the lost original by Thomas McIlworth from 1763, which was made to hang in Johnson Hall. A secret council of Ottawa, Ojibwa, Huron, Potawatomi, and others meets at Detroit. This meeting has probably been called by Pontiac. Campbell surrenders his command of Fort Detroit willingly and gladly to Major Henry Gladwin. Campbell remains as second in command. The Weas in the west and, separately, the Senecas in the east, try to stir up a rebellion, but the movement does not get enough traction to amount to a revolt. The Treaty of Paris is signed and officially ends the war between Britain and France in North America. 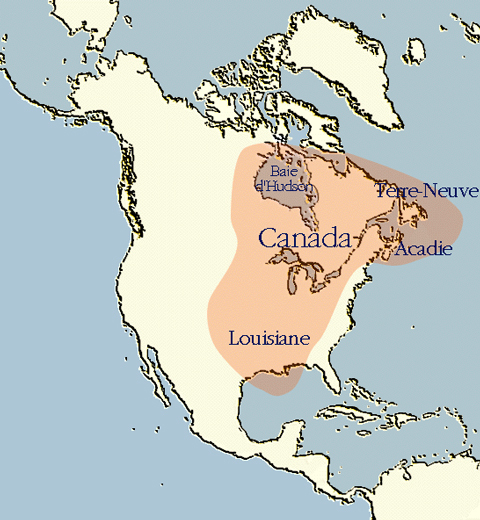 France cedes to Britain all the mainland of North America east of the Mississippi, excluding New Orleans and its surroundings. New France has become British. The challenge for the British is now to win the allegiance of the Indian tribes who had been formerly loyal allies of the French. The Miami receive a war belt from the Senecas, who still try to instigate an uprising against the English. But still without being able to accumulate the required momentum for a revolt. The intertribal War Council, also called the Pontiac Council, meets along the Ecorse River, ten miles south of Fort Detroit. Why the name Ecorse? Because the French called it Rivière aux Écorses or Tree-Bark River) The Ecorse River flows from the northwest into the Detroit River near the northern tip of Turkey Island (today's Fighting Island, Canada). Pontiac speaks to an audience of about 500 people, among them chiefs and warriors of the Ottawa, the Potawatomi, and the Wyandot (or Huron) Nations. Some French people are probably assembled as well, considering that there are approx. 2,000 French people living at Detroit by now. News of what exactly the terms of the 1763 Treaty of Paris are, have not arrived yet. Pontiac still believes the French are major players and that they will come to his aid. Pontiac first recites a list of grievances against the British. He then displays a red and purple wampum belt, a war belt, that he claims he has received from their French Father, the King of France, in order to unite and fight against the British. And, finally, Pontiac quotes the Delaware Prophet, who made if perfectly clear that the white man should be driven out. Pontiac's speech hits the target. Everyone in the attendance is ready to follow his lead. Pontiac sends war belts across the land and soon, other tribes will join. Naturally, the center and focus of Pontiac's operations is Detroit, the strongest British post west of Niagara. Pontiac and 40 warriors appear at the main gate of Fort Detroit. They ask permission to enter so that they could demonstrate their loyalty to the British by dancing the calumet, or peace dance, a variation of smoking the calumet, or peace pipe. In actual fact, this is a reconnaissance mission. While some of the warriors are performing the dance, others keenly evaluate the strength and vulnerability of the fort. 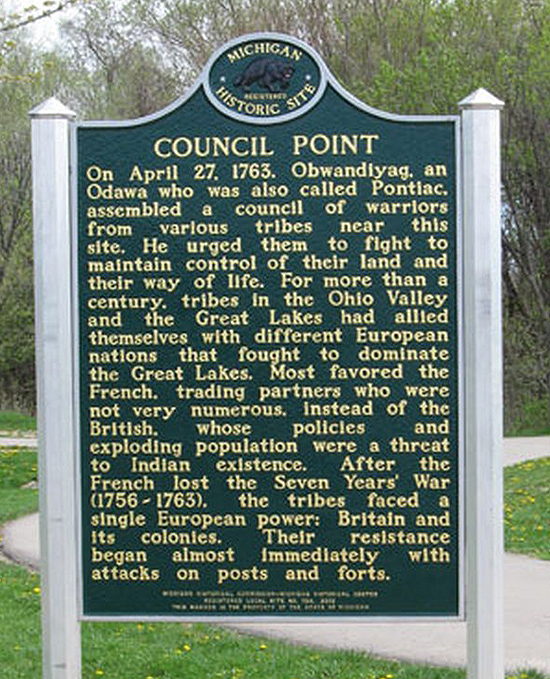 Pontiac's first planned strike is to meet with the commander of Fort Detroit, Major Henry Gladwin, on May 7, 1763. Pretending to come in peace, Pontiac and his men would then, on his signal, suddenly attack the 130 British soldiers and officers garrisoned at the fort. Gladwin (city and county) in Michigan is named after him, by the way. An informant, or informants, leak to Gladwin that the meeting with Pontiac tomorrow is actually a ploy to massacre the entire garrison. Pontiac, his fellow chiefs, and around 300 warriors meet with Gladwin, who, in turn, has arranged a massive display of all the firepower at his disposal, ready on his command. Pontiac realizes that the entire fort is on high alert, and that his plan has been uncovered. He decides not to give the signal for the attack. Capt. Charles Robertson and Sir Robert Davers, a British adventurer, are leading a soundings expedition in the upper St. Clair River near today's Port Huron, when they are attacked by a group of the Saginaw Chippewa who are en route to join Pontiac at Detroit. Robertson and Davers are killed along almost all of their soldiers. One of the survivors, seventeen-year-old John Rutherford, is taken captive and will be adopted by a Chippewa family. The Saginaw Chippewa Chief Perwash will become John's adopted father. John will go on to serve in the Black Watch, and to live to age 84. Here you can read John Rutherfurd's Narrative of a Captivity, which was published in the April 1958 issue of American Heritage. Pontiac and three Ottawa chiefs go back to Gladwin, claim there must have been a misunderstanding, and promise to be back shortly to smoke the pipe of peace. Pontiac and his men return to Fort Detroit with 65 canoes. This time, Gladwin does not open the gates. Pontiac begins the six-month Siege of Fort Detroit. This is also called Pontiac's Siege. Although vastly outnumbered, Gladwin and his men will be able to hold the fort. The unprotected settlements around the fort, however, are quickly ravished, stores broken into and live stock taken. Nine British settlers and one French settler, Francois Goslin, who was mistaken for an Englishman, are killed. The rest is captured. Pontiac claims he is ready for peace negotiations and meets with Capt. Donald Campbell, Lieut. George McDougall, and a few other British soldiers at the home of Antoine Cullerier. Pontiac decides to hold the men hostages. Concluding to have thus gained an upper hand in negotiations, Pontiac sends a French messenger to Gladwin at Fort Detroit, demanding the same terms the British demanded from the French, complete surrender. But Gladwin doesn't flinch. 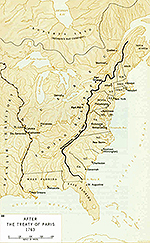 Campbell, MacDougall, and the others will attempt to escape on July 2, 1763. Now that Fort Detroit is cut off, the Indians who live around the British forts, rise up. The enemy are still masters of the country and are likely to be so, if your Excellency does not send a body of men to disperse them. Amherst sends support via schooners on the Detroit River, that are too large to be attacked from Indian canoes. Small parties even get out of the fort and are able to destroy buildings the besiegers are using for cover. Amherst hands out a new policy, Take no Indian prisoners. A unit of British soldiers and rangers, 96 men in all, led by Lieutenant Abraham Cuyler, leave Fort Niagara for Fort Detroit, unaware of the hostilities. On May 28, 1763, many of them will be killed. Fort Sandusky (Ohio) falls after an attack by Ottawa and Wyandot (Huron) warriors. 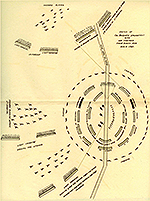 The entire 15 man garrison is killed, its commander Christopher Pauli is taken prisoner and brought to Detroit. Fort St. Joseph, today's Niles, Michigan, is attacked by Potawatomi warriors, led by Chief Washee. The fort falls, 12 of its 15 man garrison are killed. Commander Francis Schlosser and the rest are taken prisoner and brought to Detroit. Fort Miami (Fort Wayne, Indiana) falls after an attack by the Miami tribe. Commander Robert Holmes and three of his men are killed, the rest of his 15 man garrison surrenders. The Siege of Fort Pitt (formerly Fort Duquesne, today's Pittsburgh) begins, led by Delaware and Mingo warriors. Captain Simeon Ecuyer is the commander of the fort. During this siege, smallpox infested blankets are given to the Indians. Whether or not this early attempt at germ warfare was successful and who exactly deserves credit and blame remains a controversy. Do well to try to inoculate the Indians, by means of blankets, as well as to try every other method, that can serve to extirpate this execrable race. Could it not be contrived to send the smallpox among those disaffected tribes of Indians? We must, on this occasion, use every stratagem in our power to reduce them. Lieutenant Abraham Cuyler and his men, who left Fort Niagra on May 13, 1763, for Detroit, stop at Point Pelee (Ontario) to camp for the night. They are planning on crossing Lake Erie tomorrow where they wish to deliver 139 barrels of provisions and reinforcements at Fort Detroit. However, they are ambushed by the Wyandot, more than half of them are killed, and 8 of their 10 boats are taken. The survivors escape in their remaining two boats first to Fort Sandusky. 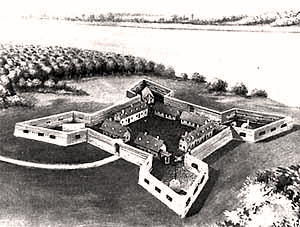 After seeing that the fort there has been captured as well, they return to Fort Niagara. A British settlement 10 miles southeast of Fort Pitt (today's West Newton, PA) is attacked by the Delaware and Mingoes, led by Delaware Chief Wolfe. Chief Wasson and his Chippewa (or Ojibwa) warriors from the Saginaw River arrive at Detroit. Wasson and Pontiac resolve, instead of tightening the siege of Fort Detroit, to focus on preventing British relief forces from reaching the fort. French citizens of Detroit are now supplying the fort with provisions. Fort Ouitenon (5 miles southwest of today's Lafayette, Indiana) falls without a shot. The attacking Weas, Kickapoos, and Mascoutens simply walk in and take the 20 man garrison prisoner. Commander Lieutenant Edward Jenkins wisely choses to surrender. He and his men will be exchanged for enemy prisoners. June 2, 1763 - Fort Michilimackinac (Northern Michigan) is attacked by Chippewa (Ojibwa) and Sauks warriors. The fort falls, 21 of the 35 man garrison are killed. The fort's commander, Captain George Etherington, and his deputy, Lieutenant William Leslye are taken prisoner. Among the killed is Lieutenant John Jamet, who had come with a small unit from St. Mary's (today's Sault Ste. Marie). This attack was a sneaky one. News from the outbreak of Pontiac's Rebellion hasn't yet arrived at this fort. The Chippewa who live in the neighborhood, however, were well-informed. They gather just outside the fort, and start playing a game of baggatiway, or lacrosse. Suddenly the ball is thrown over the wall, the players are chasing after it while passing their women and taking weapons from underneath their blankets. The entire attack is over within minutes. Fort Ligonier (Pennsylvania) is attacked by Delaware, Shawnee, and Mingo warriors. This attack is unsuccessful. No casualties. Ottawa warriors, led by Chief Okinochumake, take the Fort Michilimackinac prisoners from the Chippewa. The prisoners will later be brought to Montreal for prisoner exchange. Chief Sekahos and his Chippewa (or Ojibwa) warriors from the Thames River arrive at Detroit. By now, Pontiac leads more than 850 warriors: approx. 250 Ottawa, 150 Potawatomi, 50 Huron (or Wyandotte), 250 Saginaw Chippewa (or Ojibwa), and 170 Thames River Chippewa (or Ojibwa). Fort Venango (or Fort Machault, today's Franklin, Pa) falls. The attacking Seneca warriors kill the entire 15 man garrison, including its commander Lieutenant Francis Gordon, and burn the fort to the ground. Fort Le Boeuf (today's Waterford, Pa) falls after an attack by Seneca warriors. Two men are killed, the fort destroyed. 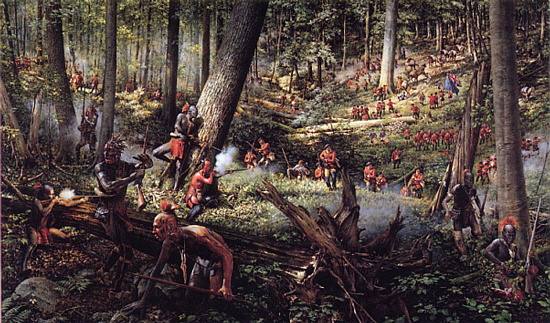 The survivors, including its commander George Price, escape to Fort Venango. Seeing that Fort Venango has been taken as well, they move on to Fort Pitt. Father Dujonois, the Jesuit missionary among the northern Ottawa, Chief Kinonchamek (who is the son of the great Chippewa Chief Minavavana), seven Ottawa, and eight Chippewa warriors arrive at Detroit. They bring Pontiac the good news of the capture of Fort Michilimackinac, see June 2, 1763. The Siege of Fort Presque Isle (today's Erie, Pa) begins. A massive crowd of over 250 Ottawa, Chippewa (or Ojibwa), Wyandot (or Huron), and Seneca warriors will stick around until June 22. At Fort Edward Augustus (or Fort LeBaye, today's Green Bay, Wisconsin) the fort's commander, Lieutenant James Gorrell receives a message from Captain Etherington, telling him to abandon the isolated fort and to get to L'Arbe Croche (Cross Village). Gorrell and his men leave with the quickness. 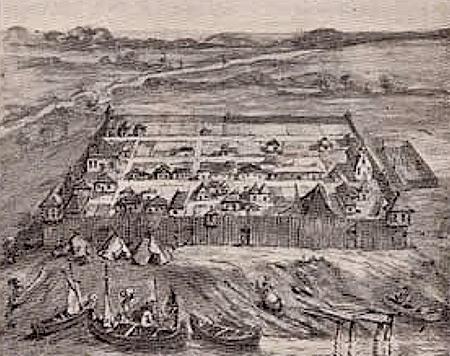 The Siege of Fort Presque Isle ends when the 60 man garrison surrenders. Three men are killed, the rest, including the fort's commander John Christie, are taken prisoner and brought to Detroit. The fort is destroyed. Campbell and MacDougall, still Pontiac's hostages, resolve to escape. McDougall and a few other British prisoners make it into the forest, but Captain Donald Campbell, slowed down by some extra pounds and his very bad eye-sight, prefers to stay put. Captain Donald Campbell is tomahawked by Saginaw Chippewa Chief Wasson to avenge the killing of his nephew by British soldiers. The British are outraged. In effect, Pontiac's men had killed a British envoy sent to negotiate peace. Amherst is fuming, and puts a 100-pounds reward on Pontiac's head. Fort Detroit has now a French militia. This is the first time since the surrender of New France in 1760, that the French at Detroit are officially carrying arms again. James Sterling, born in Ireland and now a prominent trader at Fort Detroit, is made captain of the French militia. Go here for more about the James Sterling Letter Book. 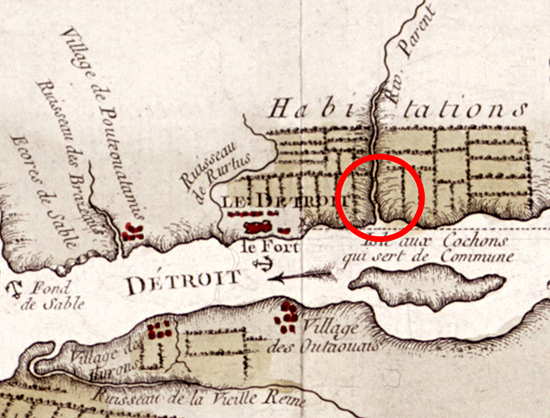 The Ottawa try to set fire to the British ships that are moored at Fort Detroit by settings rafts on fire and sending them downstream. This attempt is consistently unsuccessful and will soon be abandoned. We have been besieged here two months by six hundred Indians. We have been upon the watch night and day, from the commanding officer to the lowest soldier, since the 8th of May. We have not had our clothes off, nor slept a night since the siege began. We shall continue so till we have a reinforcement. Then we hope to give a good account of the savages. Their camp lies about a mile and a half from the fort. That is the nearest they choose to come now. For the first two or three days we were attacked by three or four hundred of them. But we gave them so warm a reception that they do not care for coming to see us, though they now and then get behind a barn or a house and fire at us at three or four hundred yards distance. Day before yesterday we killed a chief and three others, and wounded some more. Yesterday we went up and our sloop and battered their cabins in such a matter that they are glad to keep farther off. A prisoner exchange brokered between Wyandot (Huron) and Potawatomi and Major Henry Gladwin goes awry when the natives try to withhold some of their British prisoners. Jacques Cavallier, age 30, is killed by a Potawatomi sniper while standing sentinel at Fort Detroit. Cavallier was a member of the French milita at the fort. He is one of only two Frenchmen who will be killed during the Siege of Fort Detroit. On the 31st, Captain Dallyell requested, as a particular favor, that I would give him the command of a party in order to attempt the surprizal of Pontiac's camp under cover of the night. To which I answered, that I was of the opinion, that Pontiac was too much on his guard to effect it. He then said he thought I had it in my power to give him a stroke, and that if I did not attempt it now, he would run off, and I should never have another opportunity. This induced me to give in to the scheme, contrary to my judgment. Battle of Bloody Run - a six-hour engagement and one of the largest victories for Pontiac. 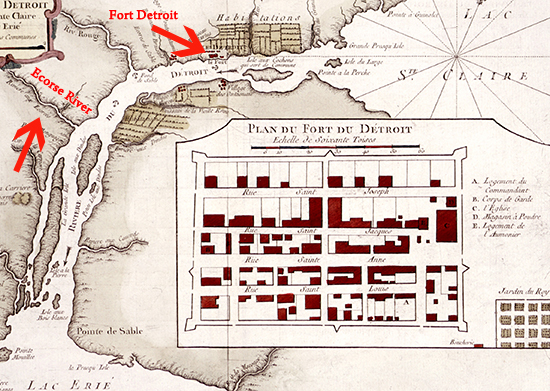 At 2:30 AM, Dalyell and 247 troops put boots on the road and march from Fort Detroit to surprise Pontiac's camp. When they get close to the bridge at Parent's Creek / Jean Baptiste Meloche's farm, they are ambushed from three sides by Pontiac's men, a combined force of Ottawa, Chippewa, and Wyandot. Frenchman Meloche, by the way, is a friend of Pontiac. And yes, Pontiac's French friends had informed him of this planned surprise attack. The British suffer 150 casualties, including Dalyell. Some are taken prisoner, the rest retreats with the wounded to the fort. A remnant of the creek is found in Elmwood Cemetery today; an historical marker commemorating the ‘Battle of Bloody Run’ is located at the entrance to the Players Club building at 3321 East Jefferson Avenue near Mt. Elliott. Pontiac's great victory at Bloody Run had two effects. More Indians were joining his cause and more resolve toughened the British. Large groups of Delaware and Shawnee warriors leave the Siege of Fort Pitt to intercept an approaching British force led by Colonel Henry Bouquet. This they will, in the Battle of Busy Run, on August 5, 1763. Bouquet’s troops, about 500 men, 300 of them members of the 42nd Royal Highland Regiment, The Black Watch, reach Fort Ligonier. They rest for two days, and transfer the flour provisions for Fort Pitt from the wagon barrels they had been using to 340 packhorses. The Battle of Bushy Run begins. 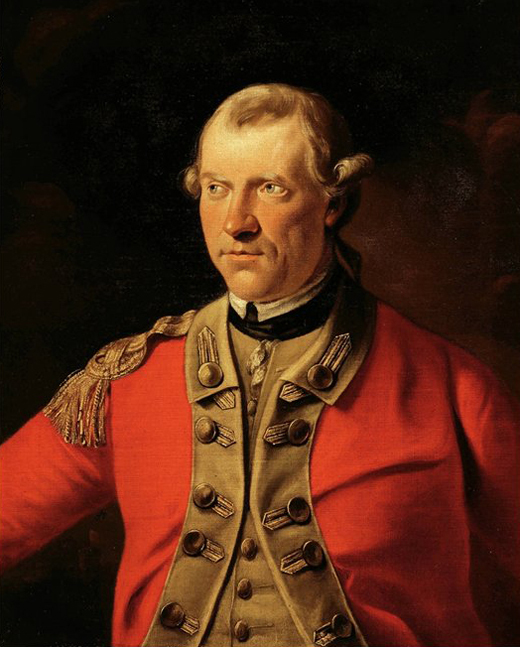 The British, led by Col. Henry Bouquet (1719-1765) arrive from Carlisle to relieve Fort Pitt. Thirty miles southeast of Fort Pitt, a well-camouflaged group of Delaware, Shawnee, Mingo, and Wyandot warriors launch a frontal attack on Bouquet's advanced guard. The first day of fighting was won by the Indians. The Battle of Bushy Run ends. Colonel Henry Bouquet (an expert of warfare against irregular opponents) defeats the Indians thanks to a surprise strategy. Two British companies pretended to withdraw, luring Pontiac's men out of their cover and into a lethal crossfire. 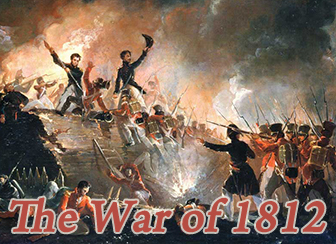 This is the first time that the British have fought the enemy on its own terms and won. End of battle. British Casualties: 50 killed, 60 wounded. This is the beginning of the end of Pontiac's War. His rebellion will lose momentum in part because of today's defeat, in part because of the stalemate at Detroit, and in part because the Indians will soon have to move with the changing season and retreat to their winter hunting grounds. Bouquet and his men reach Fort Pitt. The Siege of Fort Pitt ends. My Dear Children... The great day has come ... the Master of Life has inspired the Great King of the French and him of the English to make peace between them, sorry to see the blood of men spilt so long. ... What joy you will have in seeing the French and English smoking with the same pipe and eating out of the same spoon and finally living like brethren. ... Leave off then, my Dear Children, from spilling the blood of your brethren, the English. Our hearts are now but one. You cannot at present strike the one without having the other for your enemy also. By the way, what's a Frenchman doing still commanding a fort? Neyon de Villiers was the French commander of Illinois. Now his turf was officially under British rule, but with no British troops in sight. The Fort de Chartres will have a transfer ceremony on October 10, 1765, when finally British troops of the 42nd Royal Highland Regiment will take over. When the schooner Huron, loaded with provisions from Fort Niagara, is moored in the lower Detroit River near Turkey Island (today's fighting Island), approx. 340 Ottawa and Chippewa warriors attack. Two British aboard are killed. The ship's captain, Captain Horsey, is one of them. By a formal letter I had offered a reward of 100 pounds to the person who should kill Pontiac. If you think another 100 could be inducement for a daring fellow to attempt the death of that villain, I will add it with pleasure. His death will be some small satisfaction for the loss of poor Dalyell. Battle of Devil's Hole (near Fort Niagara, NY). Seneca warriors attack a lightly escorted British wagon train that rolls north along the Niagara Gorge, between Fort Schlosser and Fort Niagara. The wagons were returning to the Lower Landing (Lewiston) for another load of provisions. Just when the convoy approaches the creek flowing into Devil's Hole, they rumble across a small wooden span, later known as Bloody Bridge. Here the Seneca attack. Well aware of the importance of the British supply lines, they destroy the draft animals and throw harness and wagons into the gorge. Alarmed by the gunfire, British troops of the 80th Regiment of Foot, who are encamped at the Lower Landing two miles down the river, rush to the convoy's aid, but are ambushed as well. The troops are led by Lieutenant George Campbell. They were on their way to Detroit. In this second ambush, the Seneca kill 80 British troops, slightly north of Devil's Hole in what will become known as Campbell's Defeat. Only 8 wounded men make it back to Fort Niagara. This is bloodiest battle of the Pontiac War, hence also called the Devil's Hole Massacre. It will be weeks before the British will again be able to supply Detroit with its necessary provisions. This is the closest Fort Niagara comes to being attacked. The fort itself was never actually threatened. Royal Proclamation by British King George III, aka the Proclamation of 1763. The Proclamation of 1763, is a remarkable decree. For example, it acknowledges that "great Frauds and Abuses have been committed in purchasing Lands of the Indians." And We do further declare it to be Our Royal Will and Pleasure, for the present as aforesaid, to reserve under our Sovereignty, Protection, and Dominion, for the use of the said Indians, all the Lands and Territories not included within the Limits of Our said Three new Governments, or within the Limits of the Territory granted to the Hudson's Bay Company, as also all the Lands and Territories lying to the Westward of the Sources of the Rivers which fall into the Sea from the West and North West as aforesaid. In other words, from now on, the territory between the Appalachian Mountains and the Mississippi River and from the Great Lakes more or less down to the Gulf of Mexico, is reserved exclusively for the Indians. The British colonies in North America have a firm western boundary. Those whites who have already settled beyond this border line are ordered to remove themselves. Although this act will be ignored by future settlers and law makers, this is the first time in North American colonial history that Indian property rights are officially recognized. Pontiac is shown Neyon de Villier's letter to all Indians in former New France. He realizes that his former French allies have cut their ties. However, he will not give up and will arrange a meeting with Neyon on April 15, 1764. My Brother, the word that my father has sent to make peace I accept; all of my young men have buried their hatchets. I think that yon will forget the bad things that have happened this past while. For my part I shall forget, which you can show me how to do, in order to think only of good things. I, the Ojibwas, the Hurons, we must go to speak to you when you will ask us. Reply to us. I am sending you the adviser so that you may see him. If you are indeed like me you will give me a reply. Gladwin replies that he would forward Pontiac's message to the general. Conestoga Massacre, also called the Paxton Boys Uprising, near Lancaster, PA. Fifty-seven drunken frontiersmen from Paxton slaughter 20 peaceful and defenseless Conestoga Indians, and will get away with it. Neyon receives Pontiac, who asks for his support against the British. Neyon declines, referring to the peace treaty between Britain and France. Colonel John Bradstreet arrives from Niagara with his expedition that was sent to lift the siege of Detroit. Bradstreet encounters no opposition. Bradstreet also has instructions to punish the natives, but he prefers to make treaties with hostile tribes. This will not sit well with his superior, Major-General Thomas Gage. Shawnee chief Charlot Kaske seeks in vain the military support of Louis Groston de Saint-Ange de Bellerive, commander at Vincennes. Bradstreet and his men attempt to return across Lake Erie. Storms cost the lives of many of his men. The Shawnee appeal to the French authorities in New Orleans to help them out in their fight against the British. Once again, the Shawnee ask the French at New Orleans for help, still without success. Peace talks between Pontiac and Louis Groston de Saint-Ange de Bellerive and Lieutenant Alexander Fraser. At Fort Ouiatenon, now in native hands, Colonel George Croghan, Johnson's chief deputy supervisor of Natives affairs for the English colonies of America, and Pontiac come to an agreement to end the uprising. A preliminary settlement is signed. Pontiac points out that the French submission to the British has nothing to do with the Indian Nations, as the French had not conquered them. Thus, the British should not assume the submission of the natives. Croghan and Pontiac are meeting with chiefs of the Ottawa, Ojibwa, Huron, and Potawatomi to ratify this agreement. Not everyone, however, is convinced. The Algonkian chiefs and Pontiac meet at Fort Ontario (Oswego, NY) to sign a final peace treaty. Sir William Johnson, British Superintendent of Indian Affairs, presides. He lets Pontiac speak for all of them, which further alienates them. Among some Indians, Pontiac has by now acquired a reputation of having sold out his people to the British. A rumor that he is on British payroll doesn't help. Pontiac sticks to the treaty with the British. His village exiles him. Skirmishes between Indians and whites continue here and there but Pontiac stays true to his word. He is done fighting and resumes his life as an independent fur trader. Pontiac arrives at Cahokia, Illinois. At Cahokia, Pontiac enters the store of Baynton, Wharton, and Morgan, accepts a drink, leaves the store, and is attacked and killed by a Peoria Indian. It is debated whether the killing was motivated by individual disgruntlement, tribal disgruntlement, or whether it was a paid assassination. John Wilkins, commander of Fort Cavendish (formerly Fort de Chartres) immediately orders a local businessman to bury the victim. No one knows where Pontiac is buried. Later, Ojibwa Chief Minweweh will take revenge and kill two employees of Baynton, Wharton, and Morgan, for a lack of a better target.